Auvergne-Rhône-Alpes is a must-visit region for gastronomy and local products. Mountain pastures, orchards and vineyards come together for France’s richest harvest. The quality, diverse products are found in the dishes of the region’s many chefs and restaurants. Discover a myriad of AOP products (Appellation of Protected Origin) in the region (a total of 79) including Bresse poultry, Ardèche chestnuts, Grenoble walnuts, Nyons olives, Puy lentils and Mézenc Fin Gras beef. 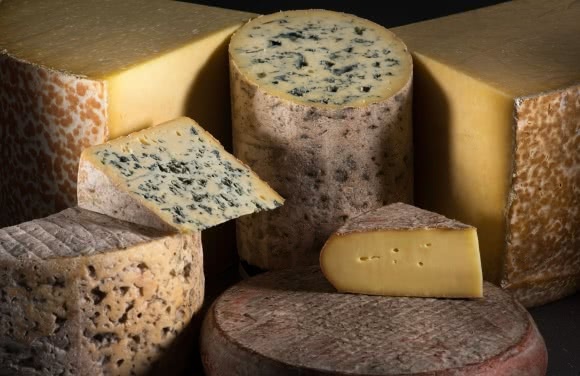 The region is also France's largest cheese platter, with 21 AOP cheeses like Saint Nectaire, Cantal, Bleu d'Auvergne, Fourme d'Ambert, Salers, Beaufort, Abondance and Picodon. 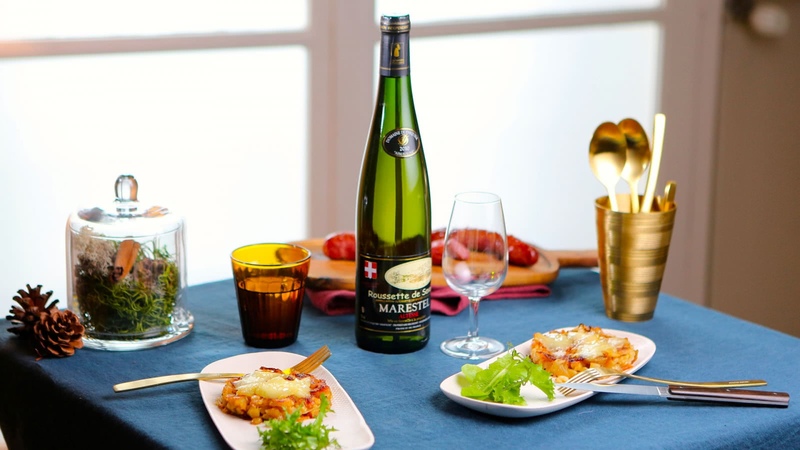 Wines and waters: for a perfect pairing, lovers of all things gourmet have a wide choice of wines, with Côtes d’Auvergne, Côtes du Rhône, Saint Pourçain and wines from Savoie, served alongside mineral water from Vichy, Badoit, Châteldon, Volvic or Evian. In 2018, the region had 28,900 restaurants, with 60% of them serving traditional cuisine. Culinary excellence has always been an important element for our chefs and restaurant owners. It's both the quality and quantity of our local products that explain the gourmet reputation of Lyon and of the region, with 94 Michelin-starred chefs in 2019 (2nd region behind Paris Ile-de-France), including nine 3-star chefs: Paul Bocuse, Georges Blanc, Régis Marcon, Anne Sophie Pic (the only woman with 3 stars in France!) Emmanuel Renaut, Michel Troisgros, René and Maxime Meilleur, Yannick Alléno and Laurent Petit. Many quality networks for restaurants reinforce Auvergne-Rhône-Alpes's reputation as a gourmet region: Bistrots de Pays, Bistrots Beaujolais, Bouchons Lyonnais, Toques Blanches Lyonnaises, Toqués d’Ardèche, Toques d’Auvergne, Bienvenue à la Ferme, Accueil Paysan and more. Finally, around 400 km of the Nationale 7 pass through the region (of the 1000 km that make up this legendary route), from Villeneuve-sur-Allier to Pierrelatte. The highway is dotted with renowned Michelin-starred restaurants: Troisgros in Roanne, Bocuse in Lyon, La Pyramide (formerly Chef Point and now Chef Henriroux) in Vienne and Pic in Valence. A historic road combining tourism and great gastronomy since 1936. The Valley of Gastronomy is a new tourist destination that will be launched in 2019. It extends from Dijon to Marseille, along the valleys of the Saône and Rhone rivers. The Auvergne-Rhône-Alpes region initiated this project, alongside the Bourgogne-Franche-Comté region and Provence Tourisme. The idea began with the creation of the famous Cités Internationales de la Gastronomie that will soon open in Lyon (fall 2019) and Dijon (planned for 2020). Calling this natural corridor the Valley of Gastronomy is more than justified, with Dijon, Lyon (the world capital of gastronomy) Valence and its Cité du Goût (City of Taste) project, the vineyards of Burgundy, Beaujolais and Côtes du Rhône, numerous iconic local products and renowned sites related to gastronomy and wine (Halles Paul Bocuse, the Cité du Chocolat in Tain l'Hermitage and the Carré du Palais in Avignon). 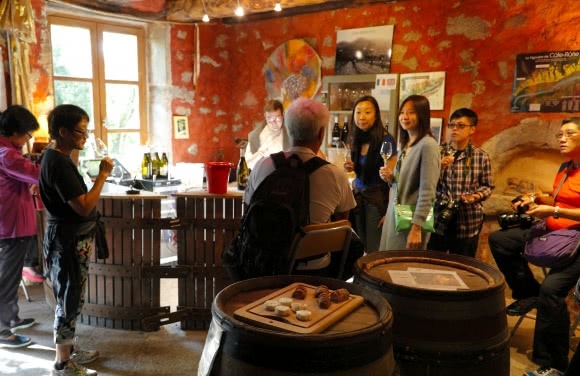 The Valley of Gastronomy - France (from Dijon to Marseille) will contribute to all of the territories along the north-south route, in addition to the essential tourism actors located in the valley, by inviting visitors to enjoy exceptional gourmet experiences. 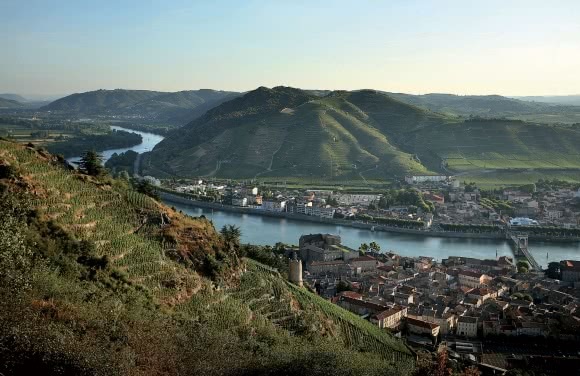 The major characteristic Auvergne-Rhône-Alpes’s wine-growing regions is the diversity of landscapes (vineyards in the mountains, in the plains or on hillsides), which results in diverse soils and grape varieties. These strengths have forged the international reputation of the region's wine production. At the heart of the region, Lyon is the gateway to three large wine-growing areas: Beaujolais, Côtes du Rhône and the wines of Savoie. A location that contributed to the city earning its title of the world capital of gastronomy. The region has a total of 10 vineyards: the Rhône Valley, Beaujolais, Savoie, Coteaux du Lyonnais, Bugey, Diois, Côte Roannaise, Côtes du Forez, Côtes d’Auvergne, Saint Pourçain and 43 AOP wines. All along the roads around these vineyards, passionate winemakers and expert oenologists are ready to share their know-how and introduce you to their wines with a tasting! Ten territories now have the label "Vignobles & Découvertes" in the region, providing visitors with impeccable hospitality in wine tourism. All the tourism professionals work together for an optimal wine discovery: accommodation, restaurants, cultural sites and of course the wineries and vineyards (400 wineries in the region have committed to a quality approach to hospitality with either a charter or a label).